Aimlessly living each day is not a way to truly LIVE. To Live means to feel alive. To feel alive means to thrive. To thrive means to have a Dream. To have a dream means to have a goal. To have a goal means to have purpose. To have purpose means happiness! We all want our dreams to materialize. Today, without going into too many details I will share with you simple empowering steps that will help you to attain that goal. Each goal achieved means you are that much closer to your dream. 1. Choose a goal that enlivens you! 2. See yourself as willing to live your goal! Follow your heart and imagine yourself living your dream in a way that feels really, really good inside your spirit and body. 3. Make sure your goal is something you really want. Let your goal begin and continue as a free decision to have something new in life, not a guilty verdict whose sentence you must now pay. 4. Make a choice and apply an action step to that choice. For example, if you decide to lose weight, instead of rewarding yourself for losing five pounds, reward yourself for taking action each day. Weight loss is variable and dependent on many factors. However, choosing an action step such as walking 2 miles every day or taking the stairs instead of the elevator for two weeks is finite and tangible. At the end of each day, you know whether you followed through with your word to yourself or not. Take time every day to recognize that you made a choice. Then apply an action to that choice and follow through. 5. Break down your goal into manageable steps. Take tiny, small, achievable baby steps daily. 6. Reward yourself for your efforts. Feel good in the process – not only once the goal is attained. 7. Be flexible and have fun! Attaining your goals and living your purpose is not impossible to do when you simplify the process. Try these steps. They have worked wonders for me personally, and I’m sure they will create miraculous results for you too! Just keep the faith in yourself. What are you thoughts on this topic? How do you reach your goals? Do you have any special steps you take to make sure you are attaining your goals? Please do share your wisdom, thoughts and questions in the comments below. I’d love to learn from you. 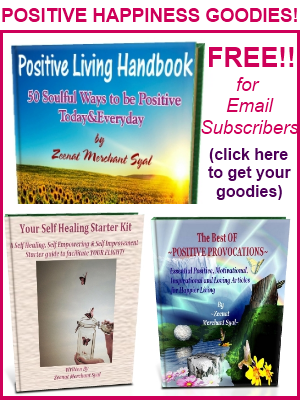 Lets Make 2012 a Positive Living Opportunity-NEW Positive Living Handbook and Spiritual Healing contest winners announcement! I love the way you bring the spirit of fun and joy to accomplishing goals. That’s a big difference! Thank you fro sharing your energy here dear one. I tend to shy away from goals but today you’ve framed them in a way that finally makes some sense to me. Thank you. Thank you for sharing your joyful spirit here. Oh dear darling friend:) I agree with George, I tend to shy away from goals..I do dream..grandiose, magical dreams..and I *live* those dreams. However, as I practice unfolding, I live through intent and purpose–the purpose of opening my heart and being love in all circumstances..
As Sandra says, you *do* bring fun and joy into everything..thank you for that! I love this excellent post and it’s simplicity. I find that the more complicated things are the less compelled I am to do them. I don’t shy away from goals but this year as you know, I’m doing something different. I’m listening to my intuition rather than goals. So far, it’s going well too! Thank you for linking to my post as well. Simple is beautiful and oh so doable na 🙂 Why go for complicated when you can simply achieve so much more. Lots of love to you and thank you for your lovely comment here! Thank you for stopping by and sharing your wonderful thoughts here. 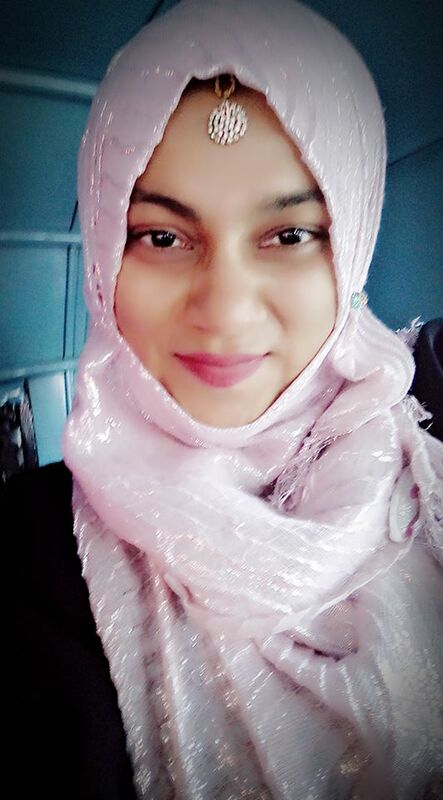 Zeenat: Happy New Year. Your blog looks truly beautiful! I can see you made a few subtle changes, and they’re great! 🙂 I am grinning from ear to ear 🙂 Thank you for noticing the subtle changes here on the blog and appreciating them. Your opinion means a lot. I like that idea…one goal per month…is breaking it into small achievable steps and setting a kind of time frame for it, makes you focus with that much clarity on the Big Dream. Nice! @chrisbrogan is very smart eh…Thank you for sharing this tip here and for your delightful comment. Excellent post Zeenat. A life without doing, wouldn’t be worth living in my opinion. I hope I’m able to keep taking action and doing when I’m well into old age. I hope we are all that full of life till the end too! May we all live like this day was our last 🙂 So much to do…so little time.. Thank you so so much for your lovely comment here. Beautiful Zeenat! I saw the word “focus” on Lance Ekum’s site, and that sort of prodded me in the direction of picking up my dreams again, and setting goals. I like what you said in the beginning of this post: having purpose means being happy. For me, when I have purpose, it’s like being needed, and I’ve learned that whether it’s by someone else or by my own self, being needed is intrinsic to my well being. Otherwise I’m like a horse with no cart; a bus with no passengers. This month, through focus, I’ve actually been able to take the little steps I need each day to achieve my goals, which are helping me achieve – ultimately – my dreams. Wishing you a lifetime of happiness, filled with lots of love. Happy New Year! I wish you love and happiness by the boatloads 🙂 New year wishes and butterfly kisses for you too! Thank you Z for this post on goal setting, and the 7 steps to help along the way. It is so true that… when I have purpose with my job I feel needed. …when I provide the money for my daughter’s education I feel needed. …when I donate my blood to the bloodbank (I am due now) I feel needed. …when I listen with honest intent I feel needed. …when I make someone laugh I feel needed. Megan, I want to thank you for adding to ‘purpose’ the being needed “by my own self”. I can tend to lose myself in the shuffle out here in sunny San Diego. I really would like to read your book when it is available…so please in some way make it known…ok? Hey Girlie, Thanks you for you work. I am a talented jellyfish. and now i have my todo list and my Plan automatically open when i boot up my computer. Dry land feels great! Love and Joy and Action Steps!